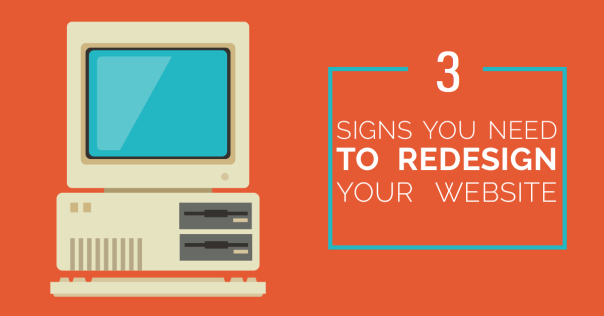 3 Basic Ways to Know You Need a Redesign ASAP! Seeing how you get bombarded on a daily basis with marketing agencies pitching their services, how are you supposed to know when you really need a redesign? This blog post will hopefully give you the info needed to help you decide if it’s time to pull the trigger on a website makeover. The Internet is the most important marketing tool in the dental & medical industries. This is the place people are going to go when looking for a new dentist or doctor. Seeing how that is the case, it’s extremely important your practice has an amazing website. The thing you need to understand is people are going to judge the quality of your work by what they see online. You may be the best plastic surgeon on the planet, but if your website looks horrible, it’s going to be a bad look. Maybe you don’t spend a lot of time online. You probably don’t really think about your website very often, and might have forgotten what it even looks like. If that’s the case, we strongly recommend using the 3 steps outlined in this post to help you decide if it’s time for a change. This is honestly the best indicator if your website needs an update. If your practice has been pretty stagnant over the last several months, it’s probably time to take action. Looking at how your website ranks in Google is the easiest way to measure performance. When evaluating organic placement, it’s best to do over a certain period of time. Maybe add a reminder to your Google calendar to check the rankings every Monday morning. Open a Google spreadsheet and list all of the main keywords you want to target. Go ahead and record where your website is showing up over a 6 week period. This will give you the data needed to really know how your site is performing. If you are showing up below the 3rd or 4th spots for important terms, it’s probably time to consider a redesign. We strongly recommend setting up Google Analytics on your website. This is really easy to do, and will give you the data needed to really dig into performance. Google Analytics is stuffed with information and can be very confusing to new users. If you don’t have a lot of experience working with this platform, this post is for you. Below are 2 really easy reports you can pull that should give you some very valuable information. Looking at the All Traffic Channels is a great way to get a snapshot of performance. If you go to the top right corner of Google Analytics, you can set the date range. We recommend looking at a few weeks of data. As you can see from the screenshot below, Google breaks traffic into different sources. This gives you the ability to see if people are finding your site from search, social, direct, or other pathways. If you see your site doesn’t have very many people finding your content from Organic Search, it’s probably time to start considering a redesign. Looking at the Site Content data can also be an excellent way to measure engagement. This is going to give you a breakdown of what people are doing when they land on your website. You can see all of the different pages, and get specific data about performance. One of the main things you need to look at is the Bounce Rate. This shows the percentage of people that only visited one page, then exited the site. This is a fantastic way to measure the quality of your content & design. If the bounce rate is over 40%, it’s definitely time for a redesign. The other important thing to look at is the average time on site. This is another great way to measure the engagement level of your website. If it’s less than 2 min, we highly recommend a website redesign. As you can see, the website we used in our example is in desperate need of a redesign. This is actually our newest client’s data. We’ll be sure to publish a blog post in a few months that shows the improvement with these two reports after we’ve had time to fix everything. If you’ve been reading our content on a regular basis, you’ll know I never shut up about the blog. Any digital marketer worth his salt will tell you blogging should be the foundation to your digital marketing. The blog drives all social media efforts. It gives you great content for eBooks and other downloadables. The blog is also the best tool for getting top rankings. When Google sees you are publishing quality content on a regular basis, you will start to see a bump in the rankings. Your blog shouldn’t be a hidden section of your site no one has visited in months. It should be displayed on your homepage, and be at the center of your marketing strategy. As you can see from our site, the blog is displayed on the homepage, and has it’s own place in the main navigation. If your website doesn’t feature the blog and focus on content marketing, it’s definitely time for a redesign. I can’t stress how important this is for your overall digital marketing success. Also, if you’re looking for the best dental marketing firm to help get your marketing back on track, give us a call ASAP. All nice websites feature some kind of animation. It’s really important you don’t go overboard with having thing flying all over the place. This is obnoxious, and will be a distraction to your visitors. Animation is a great way to keep users interested in your website. It is also a great way to push calls to action. When there is subtle movement that directs a person’s eyes to your conversion funnel, it will increase calls and form fill-outs. Again, we highly recommend looking at our homepage. When you scroll down the page, you’ll see subtle animation in the different sections. The day after we added movement to our site, we saw a huge uptick in conversions. Having a website that looks great and has engaging content is by far the most important thing you can do to grow your business. When people see an out-dated website, they automatically think your medical/dental techniques are out-dated. We strongly recommend looking at your website’s rankings, analytics data, and architecture with a critical eye. If they aren’t at acceptable levels, it’s definitely time for a redesign. Oh, did I mention new Solution Med Media clients get a FREE WEBSITE REDESIGN!!!! That’s right folks, when you work with SSM, you’ll get a new website for free. That’s over a 10K value, and will make a massive different to your practice. If you’re interested in learning more about our FREE WEBSITE PROMO, be sure to give us a call!